In this rainy season the Bengal fish market is mostly used to fill with hilsha from Bangladesh. Padma river’s hilsha fish is just awesome. They are huge in size and tastes great. 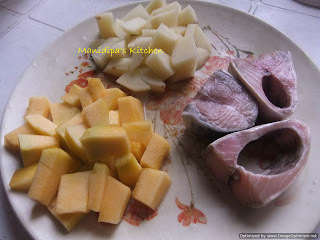 Today I will share a typical bengali hilsha recipe with mustard sauce. Offcourse no doubt, bengalis just love mustard. 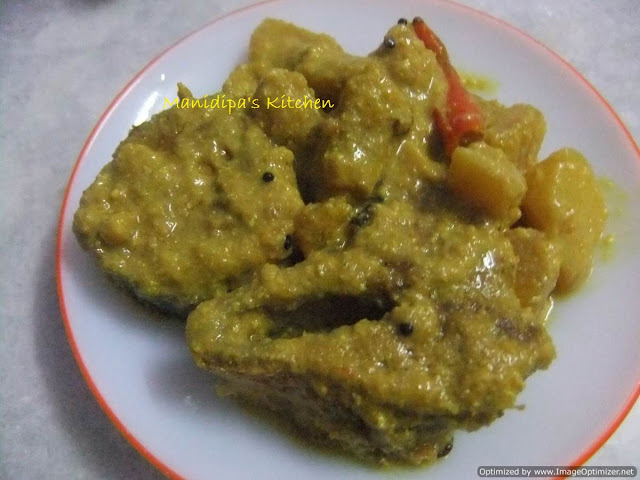 Lets explore the ilish maacher sukto recipe. Sukto is a recipe where we can explore mixture of vegetables. So here I have prepared a fish curry with couple of vegetables. Heat oil in a pan. By the time marinate the fish pieces with salt & turmeric powder. Fry the fish pieces carefully. Hilsha fish is soft, so be careful while frying. While frying them, hilsha fish will remove its oil. So we have to pour oil thinking about the for whole recipe. Now add panch phoron & dry chilli. Add the vegetables, salt & little turmeric powder. Add green chillis too. After the vegetables are fried for 10-15 min, add ginger paste and otehr spices. Mix them all together and add enogh water to make gravy. Add the milk, sugar and mustard paste. Mix them well. Add the fried fish pieces one by one. Cover the pan and cook for next 5-6 min. Add ghee & make the gravy thick. Enjoy this rainy season. Lot more hilsha recipes to come. Just keep a track . bhishon unique to ei recipe. age dekhini kothao. darun. I learned these recipes from my MOM. I will post many more unique recipes form my MOM’s kitchen……keep visiting.